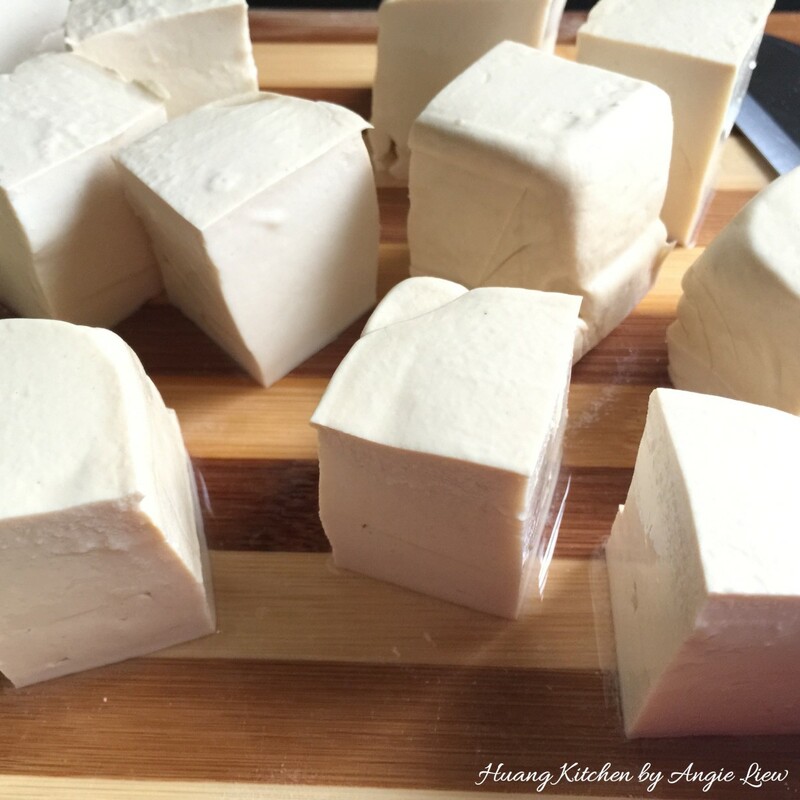 Teochew Treasure Beancurd (传统潮州豆干) is another of my family’s most treasured vegetarian dish. This nostalgic recipe resembles the one diligently prepared by my late mum-in-law on the first day of Chinese New Year. Even though it is not a luxurious delicacy, I can really appreciate the effort put in when she prepared this very memorable comfort dish. Every bite evokes fond memories down memory lane. Believe me, there’s nothing quite like the familiar smell of a comfort classic dish especially from our very loved ones. Beancurd (tofu) is made from soy beans. 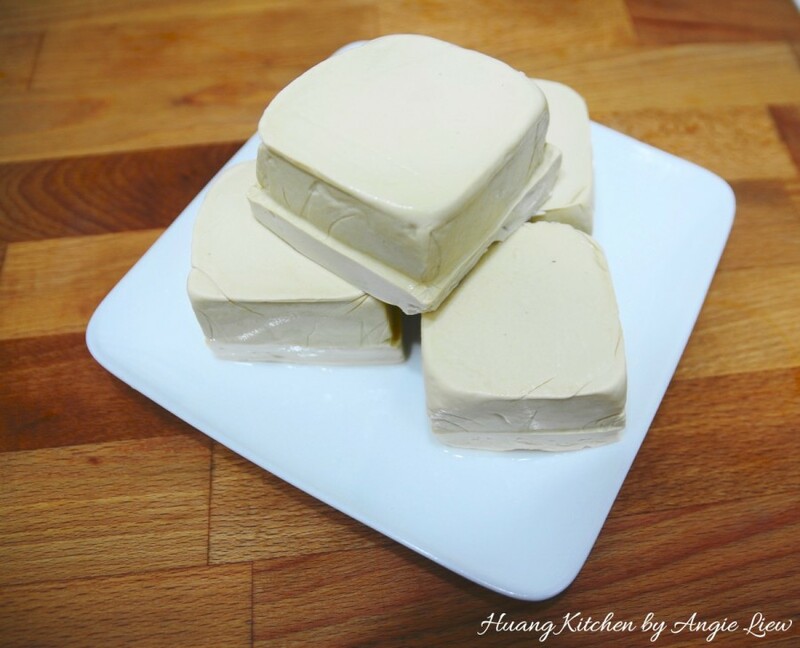 Fresh, firm-textured beancurd is off-white in colour. It is entirely tasteless before it is seasoned and will absorb the flavour of any ingredients with which it is cooked. The nutritional benefits of beancurd cannot be exaggerated. They are low in calories and is a good source of vegetable protein. They make a great replacement for meat, fish and seafood. They are also extremely easy to digest, hence they are very good for the infants as well as the elderly. 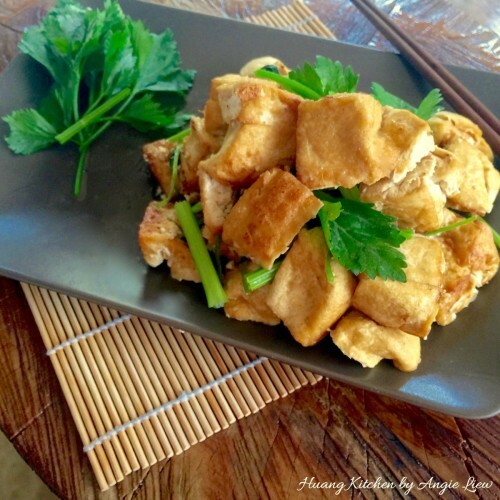 This teochew treasure beancurd dish is extremely simple and easy to cook. 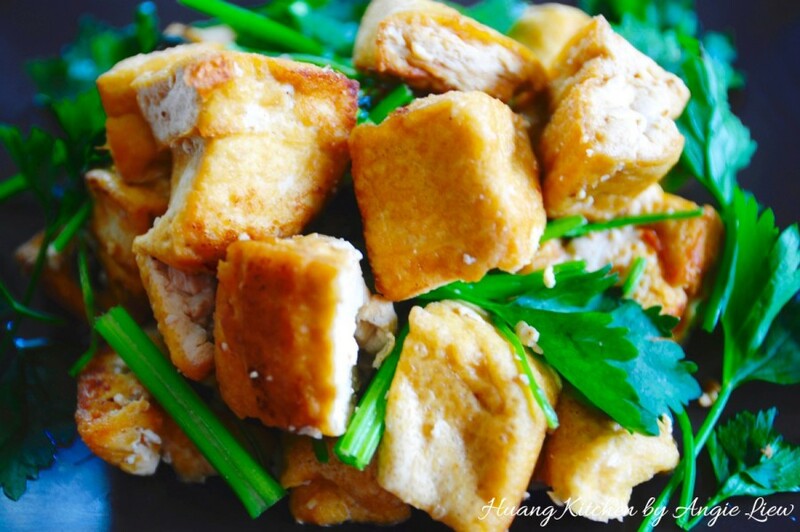 There are only 4 ingredients needed which are beancurd, fresh coriander leaves, salt and of course, oil for deep frying. For the benefit of friends who do not take garlic in their vegetarian food, it has be omitted in this dish. Nevertheless, the taste is not at all compromised. Just deep fry the semi-soft beancurd till golden and crispy, season with salt and mix thoroughly with fresh cut coriander leaves. 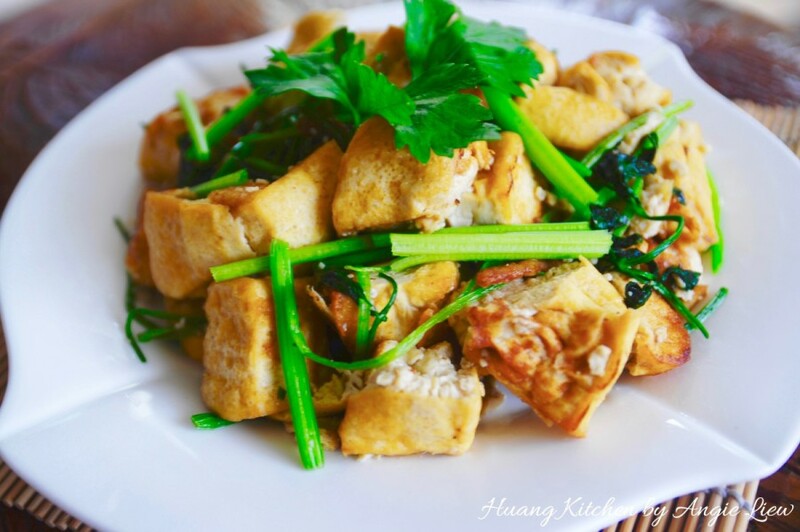 And we already have a great vegetarian beancurd dish which can be part of a Chinese banquet or just a nice simple dish on its own served with steamed rice. The semi-soft teochew beancurd take centre stage in this simple yet nutritional and freaking delicious dish. 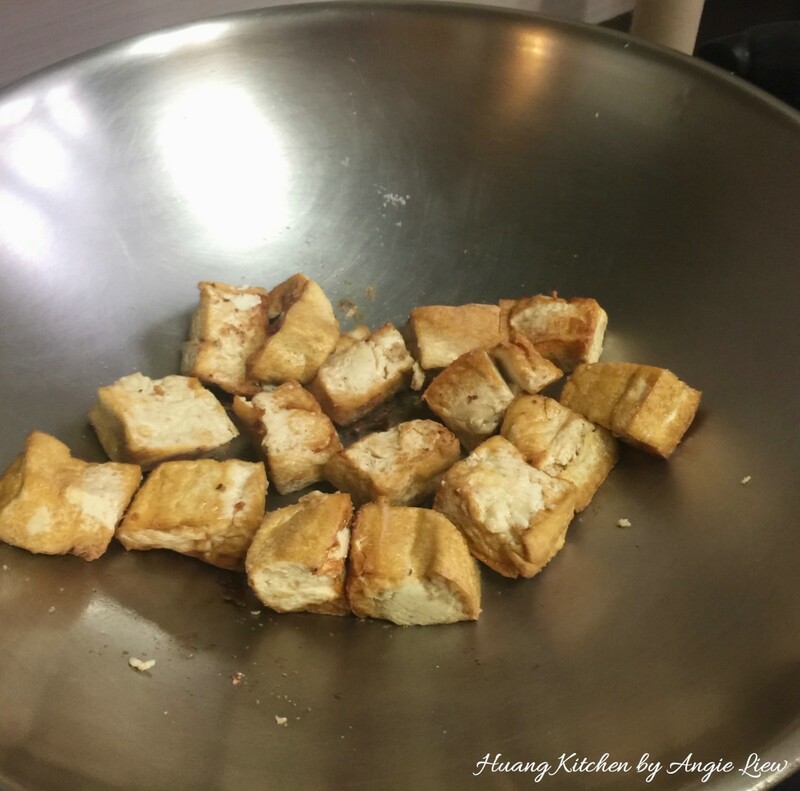 Deep frying the beancurd gives it such a golden colour and crisp texture which tastes great even on its own. Seasoning with just salt brings out a mild soybean flavour and sweetness in the otherwise, bland beancurd. A little bit of fresh herbs can go a long way in any dish. 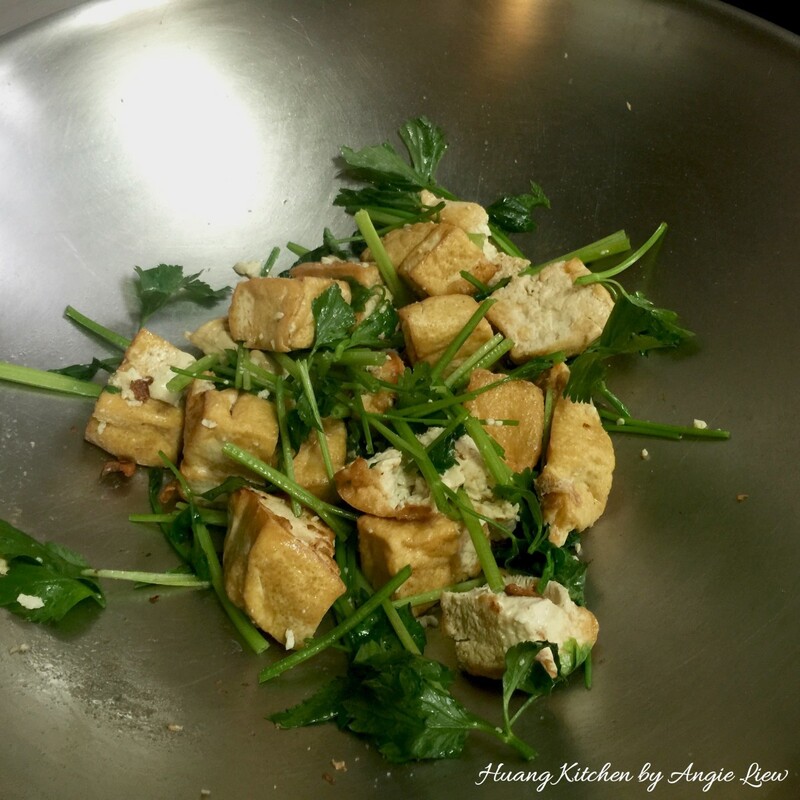 They pack a ton of flavour, and fresh coriander leaves in this beancurd dish is no exception. 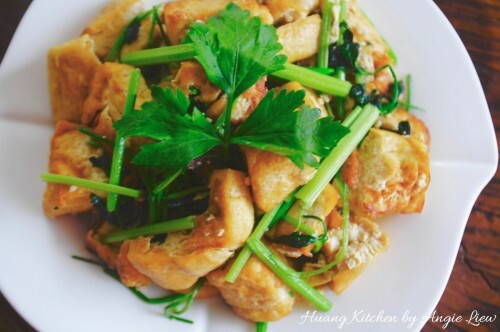 Its bright and refreshing taste has the ability to liven up this simple dish with just a light toss over the seasoned fried beancurd. In fact, coriander leaves and beancurd are an excellent pairing, the herbs giving a refreshing sharp fragrant to the simultaneously rich, creamy and light crispy beancurd. 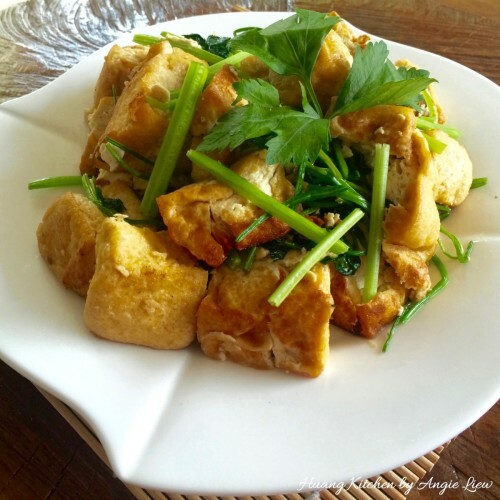 It’s the perfect beancurd dish so good even those who don’t fancy beancurd might come around. The semi-soft teochew beancurd take centre stage in this simple yet nutritional and freaking delicious dish. 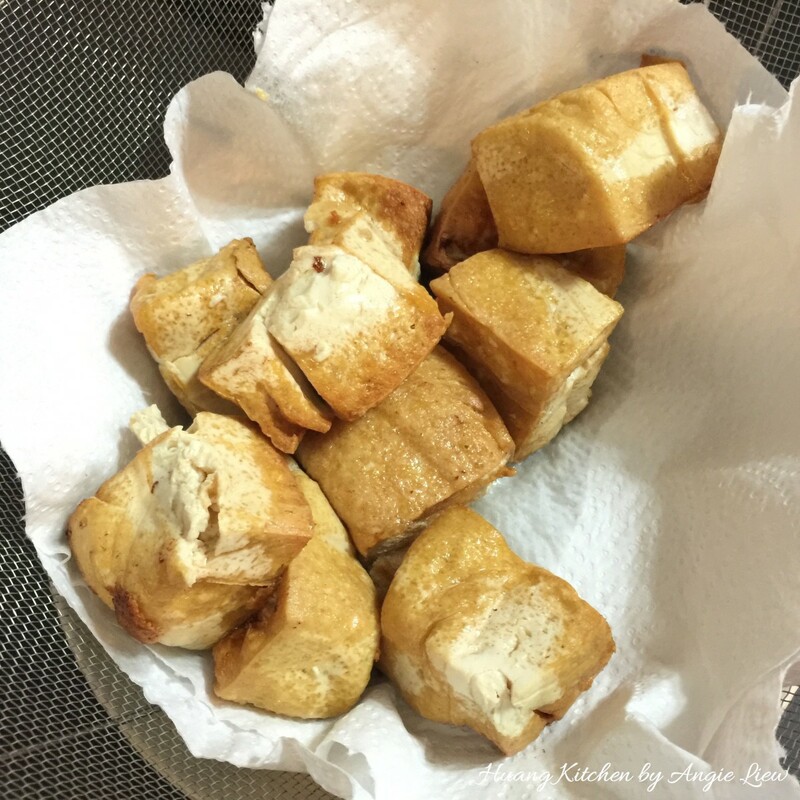 Deep frying the beancurd gives it such a golden colour and crisp texture which tastes great even on its own. Seasoning with salt brings out a mild soybean flavour and sweetness in the otherwise, bland beancurd. The bright and refreshing taste from coriander leaves has the ability to liven up this simple dish with just a light toss over the beancurd. Have ready all ingredients needed for this vegetarian beancurd dish. Try to use "Teochew taukwa" or "Teochew beancurd", which is a semi-soft beancurd. Otherwise any semi-soft beancurd will do the job. Slice each beancurd into 4 equal squares. Be careful not to break the squares. Wash, drained well the coriander leaves and cut into long strips, about 1 inch in length. And we're ready to cook the dish! Heat up enough oil to fry the pieces of teochew beancurd. 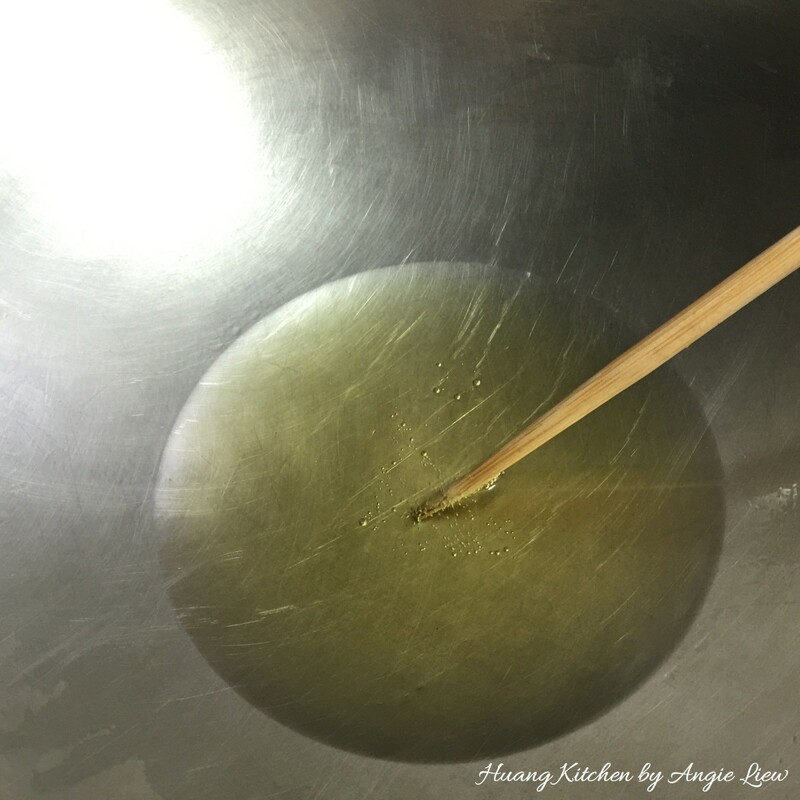 Insert a wooden stick into the oil. The oil will bubble around the stick when it's ready for frying. 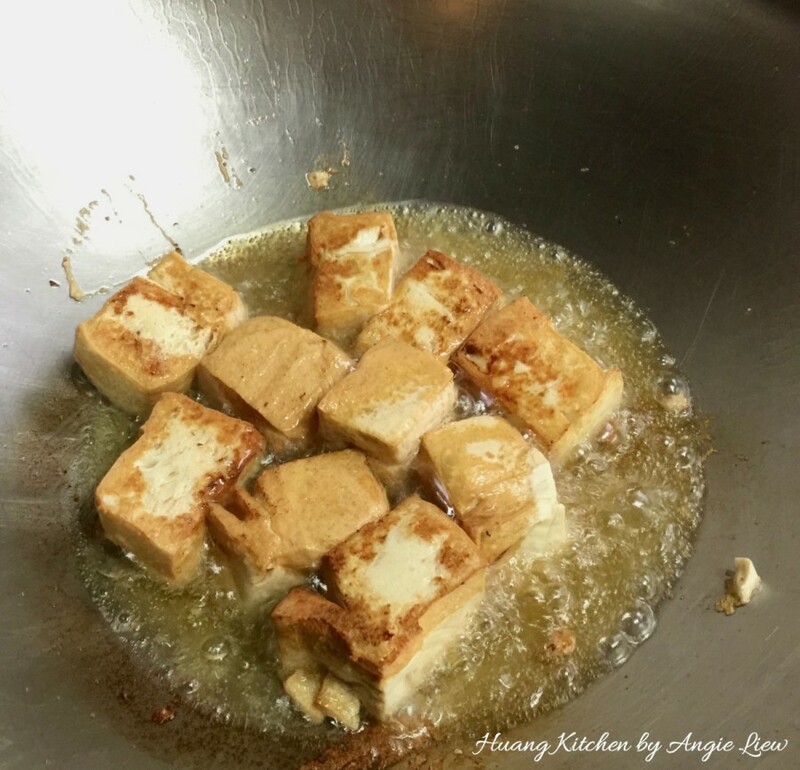 When the oil is ready, gently lower the beancurd cubes into the wok. 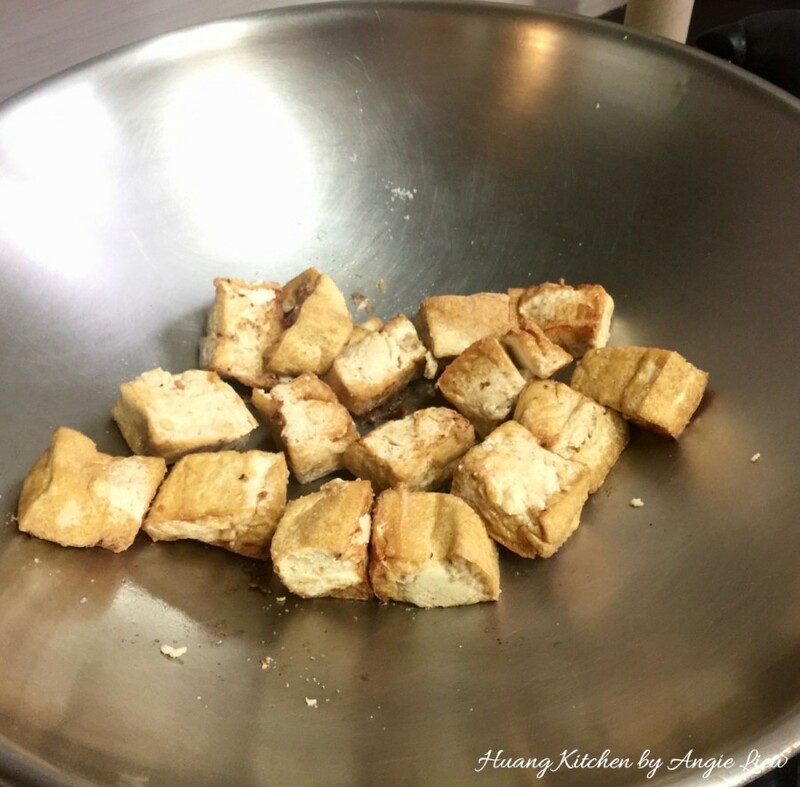 Using medium heat, fry the beancurd pieces in batches, turning carefully until lightly golden and is crispy on the outside and cooked throughout. 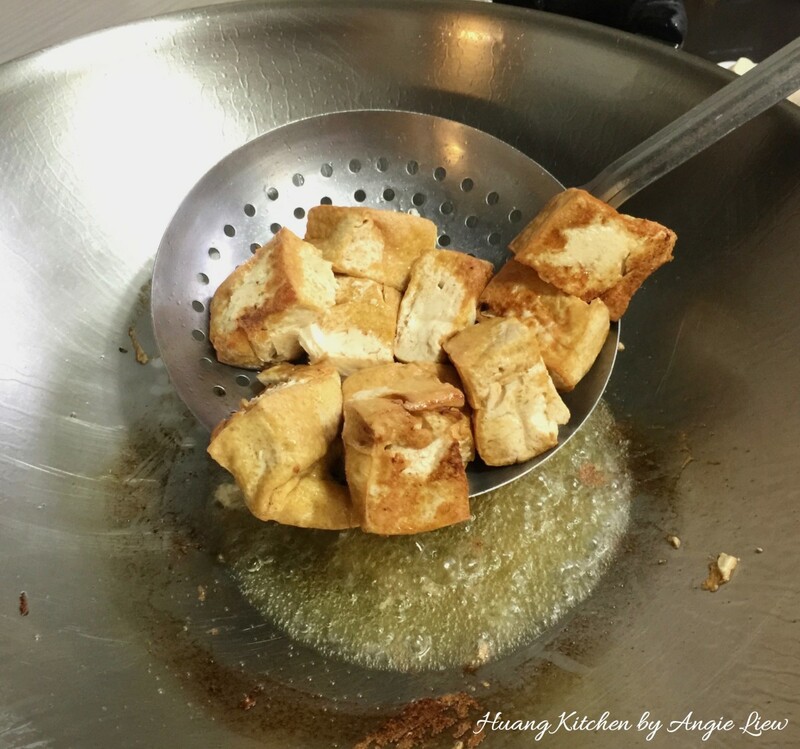 When done, dish out the fried beancurd from wok with a strainer. Drain the beancurd on paper towel to remove excess oil. Then, remove all the oil from wok and heat up the wok. Add the pieces of fried teochew beancurd into the heated up wok. 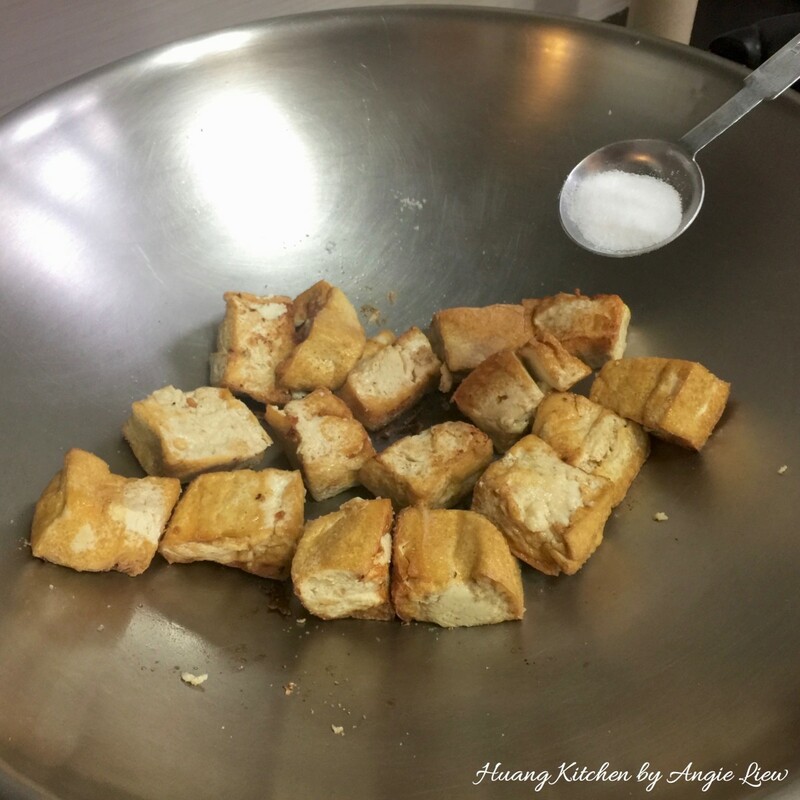 Sprinkle salt over the fried beancurd cubes. Stir fry to mix the salt evenly into the fried beancurd. Then, add in the fresh cut coriander leaves. 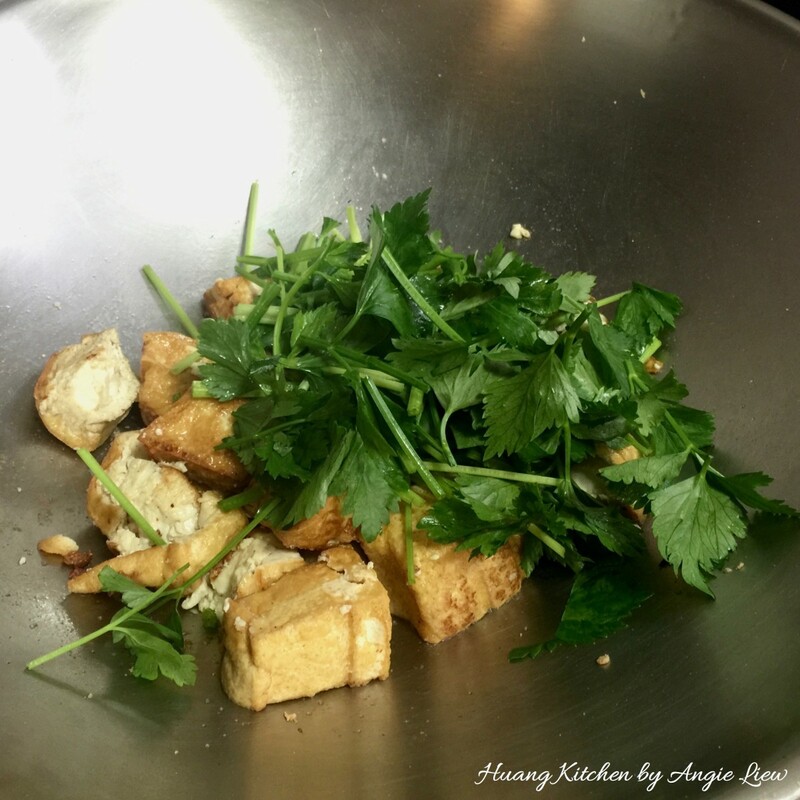 Stir to combine everything together, making sure the salt is fully infused and the coriander leaves are well mixed and leave a refreshing taste to the fried beancurd. Dish out on plate immediately and serve warm with hot steamed rice. As always, ENJOY! 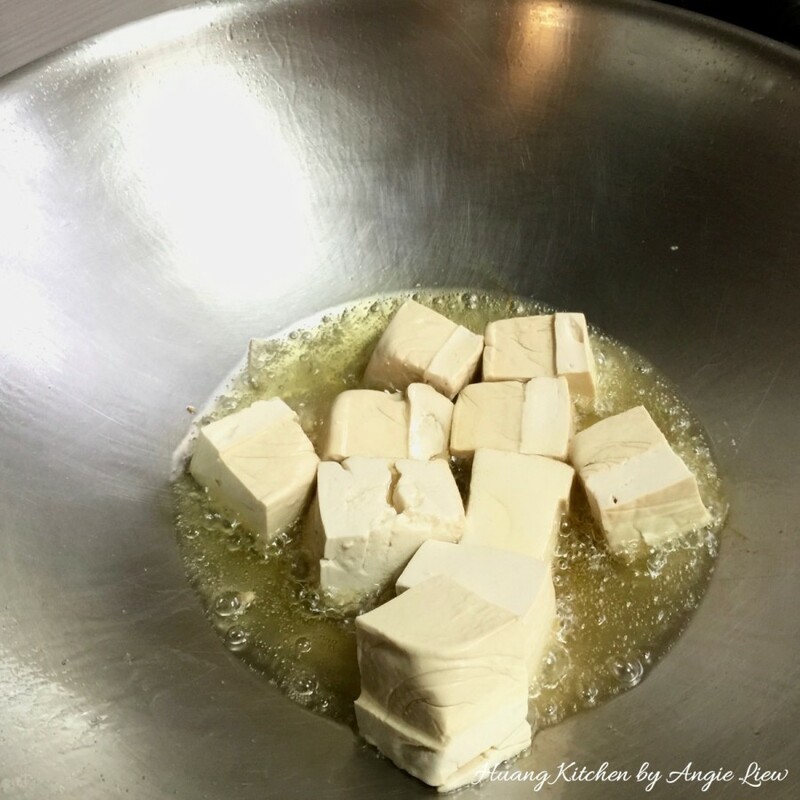 To remove moisture from the beancurd, just cut them into cubes and put them on a cutting board or baking sheet lined with paper towels. The key to both crispness and browning of beancurd is to have the beancurd as dry as possible before frying. 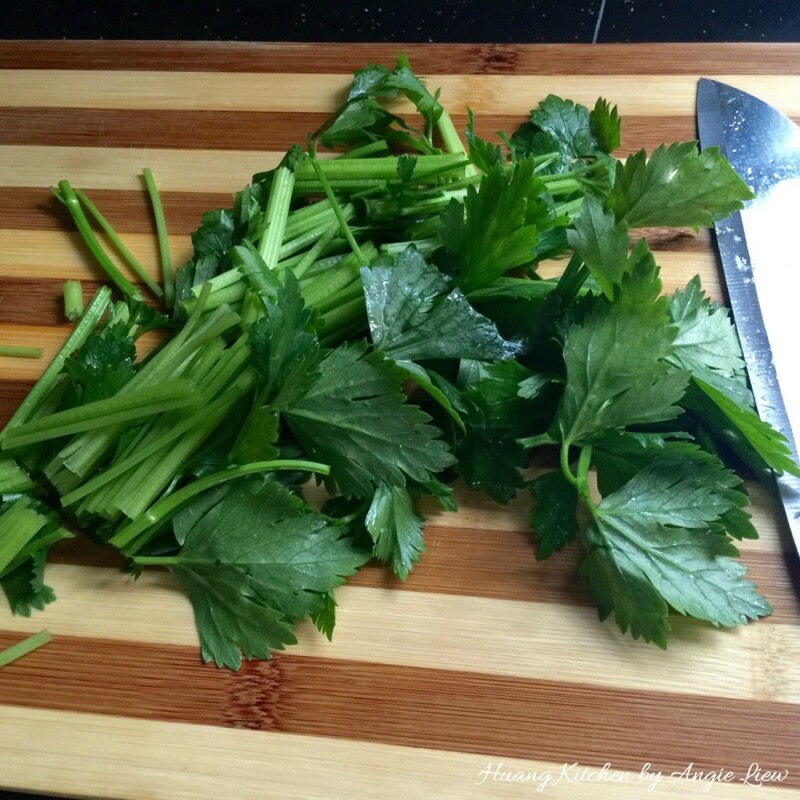 Do not overcook the fresh coriander leaves to retain its refreshing fragrant. Beancurd will keep for several days if submerged in water in a container and stored in the refrigerator.